Hudson is most the way there on the path to becoming a “Green Community”. By taking a few more small steps, the town will be eligible for ~$165K in initial grant funds and additional grant monies every year. Surrounding towns have received hundreds of thousands of dollars in recent years. Maynard has won more than a million. At the upcoming town meeting, we will decide whether to adopt a small change to our building code. The change adds an energy efficiency certification requirement to most residential and some commercial construction projects (HERS) and makes no material changes to the code. This one is easy — small changes for big money. Let’s join the 250+ cities and towns already enjoying these state grants. Please support this measure at next month’s town meeting. Original Stretch Energy Code post here and below. 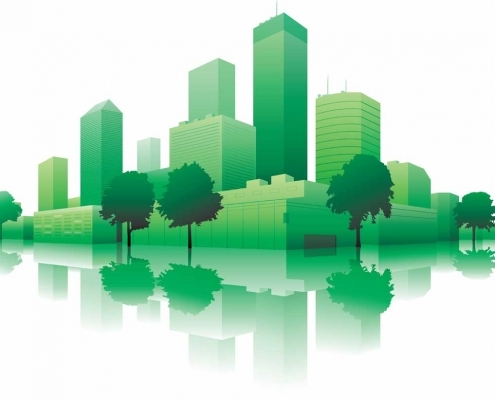 At the upcoming spring Town Meeting, Hudson will decide whether to implement a Stretch Energy Code for the purpose of becoming a Green Community. Green Community’s are eligible for grants which fund energy saving projects in municipal buildings. 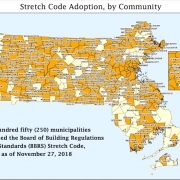 So, in addition to the direct benefits of building greener here in Hudson, there are financial incentives for the Town adopting this higher standard that most Massachusetts communities have already implemented. Jim Barry, Western MA Regional Coordinator with the Green Communities Division, will give a presentation and answer your questions. 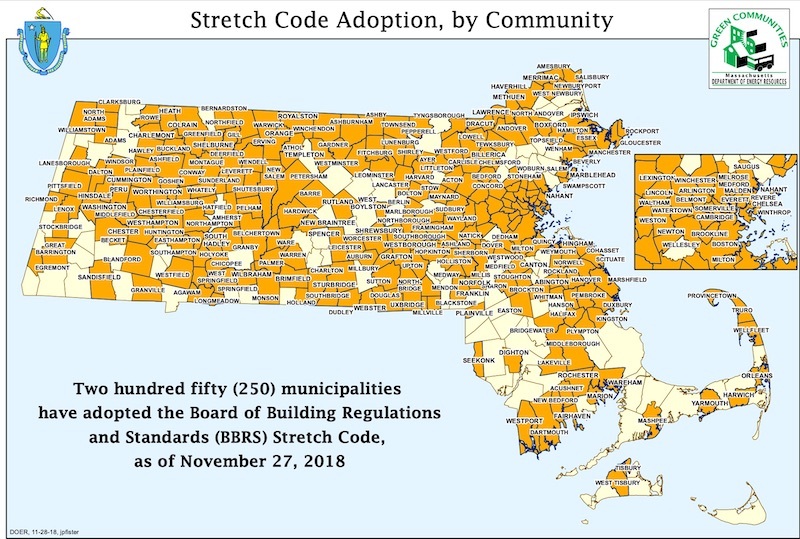 250 cities and towns in Massachusetts have implemented the Stretch Code. See the map, here. FAQs and answers, from the City of Woburn (2011).